Home > DISTRO 7" > IMPOTENTIE "Demonstratieve Opnamens" 7"
Vinyl edition of the fantastic cassette release from Spoiler (Omegas) and Matt Smith (No Negative, Torment, Thee Nodes), both veteran players in the Montreal scene. Impotentie is something a bit outta left field for both of these guys though. Spoiler switches things up and belts out vocals in his native, Dutch tongue while Matt drives the tunes here, which veer towards midtempo, degenerate punk. 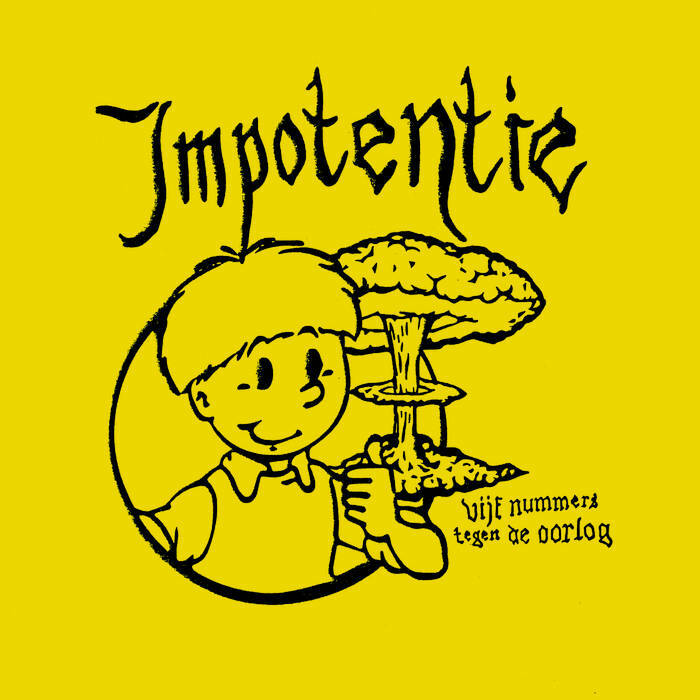 Impotentie has a very deconstructed, ugly sound that you'd find hanging deep within the lineup of an old Brazilian or French punk comp from the 80's perhaps. Super primitive and enjoyable stuff that completely eschews any modern trends or derivatives. An ace debut from this degenerative duo. Swollen City Records.